The beauty of this curio is in the simplicity of its form. The contemporary, linear styling blends beautifully with the Platinum finish. 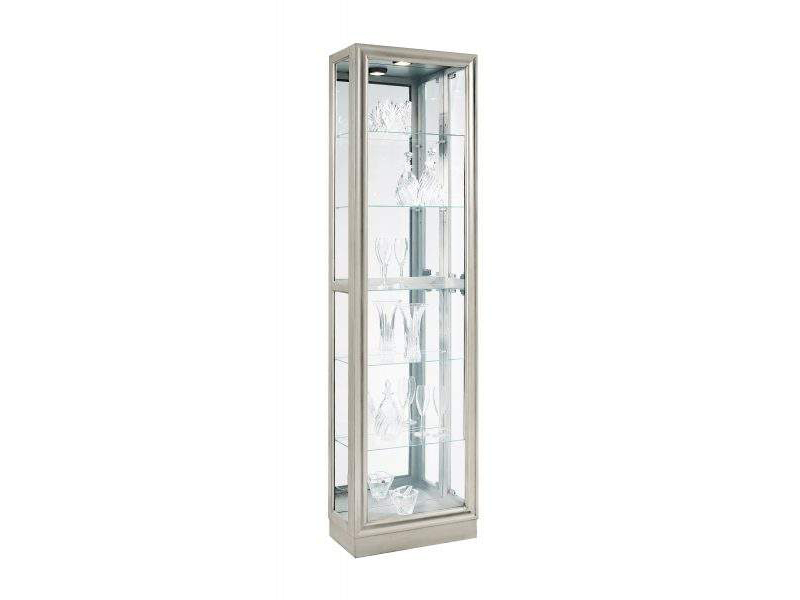 This Curio features four adjustable glass shelves and one fixed shelf for plenty of display area. The mirrored back panel helps reflect the clean design.